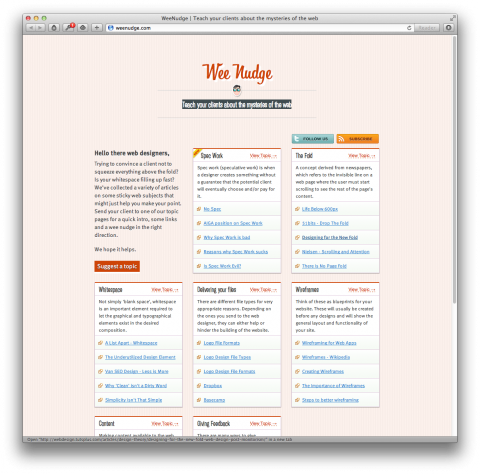 Wee Nudge collects articles related to the web design process and aims to help you better explain and talk to your clients. Read articles on whitespace, wireframes or spec work. Excited to see this grow! Unfortunately the project seems to have fizzled. They haven’t added any new content in over a year.